You are here: Home / About Sport Psychology Coaching / Sports Psychology Assessments: Do they help? Early in my career, I didn’t use sports psychology assessments to help uncover athletes’ mental game challenges. When I was at The University of Virginia study sports psychology, Bob Rotella had me and others believe assessment were worthless; they did not make sense in the real world. But Rotella was referring to standardized tests developed by researches with white coats in labs. In the applied world, standardized tests were useless for helping you work with athletes—researchers and not practitioners developed these tests. Fast forward to today… I rely sports psychology assessments with every student I work with. They have several advantages. I developed my own sports psychology assessment over the last 20 plus years working with athletes called the Athlete’s Mental Aptitude Profile (AMAP) and other sports specific sport psychology assessments, such as the GMAP—the Golf version of the AMAP. The AMAP is a five-page sports psychology assessment that Mental Game Coaching Professionals (MGCP) and myself use in our mental coaching work. MGCPs are certified mental coaches with Peak Performance Sports. The AMAP is not a standardized test. 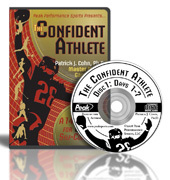 Instead, it asks athletes a series of open-ended questions that helps mental coaches identify mental game challenges with athletes and thus a profile of the athlete’s mindset. (1) It helps athletes begin to organize their ideas about the mental game before we meet with them. Athletes identify and think about their mental game prior to our first meeting. Often, athletes receive benefits from just taking the AMAP assessment—what I call a coaching effect from identifying areas they need to improve. (2) The AMAP provides a nice place to start the sports psychology coaching process. For MGCPs, the AMAP is an organizational tool as much as an assessment. We know exactly what to ask our athletes in the first session or meeting based on the athlete’s responses on the assessment. (3) The AMAP helps mental coaches develop a mental game plan prior to meeting with athletes. In addition, we can formulate follow up questions prior to the first meeting, which is part of the discovery phase of mental coaching. Newly certified Mental Game Coaching Professionals feel more prepared and can be more effective with their work with athletes by using the AMAP assessment. Should you use sports psychology assessments, such as the AMAP with your athletes? Yes, for all the reasons I mentioned above! As a Mental Game Coaching professional, you are licensed to use the AMAP and Golfer’s Mental Aptitude Profile too. We also have AMAP versions for other sports, such as soccer, track, baseball and others. In the MGCP certification course, we spend a session on training you how to use the assessments, what to look for, and how to drill down. Mental Game Coaching Professionals also have access to the Team Cohesion Aptitude Profile (TCAP), which helps you assess a team’s level of teamwork or cohesion. So I do believe in using sports psychology assessments today as long as they ask the right questions and can be used in the real world, not for research. Is it possbile to get a copy of the AMAP please? The AMAP is apart of a program that we sell, or as a mental coach, you get in the in the program. NOTE: We recently updated all of the AMAPs and added a few new sport specific ones to the program.